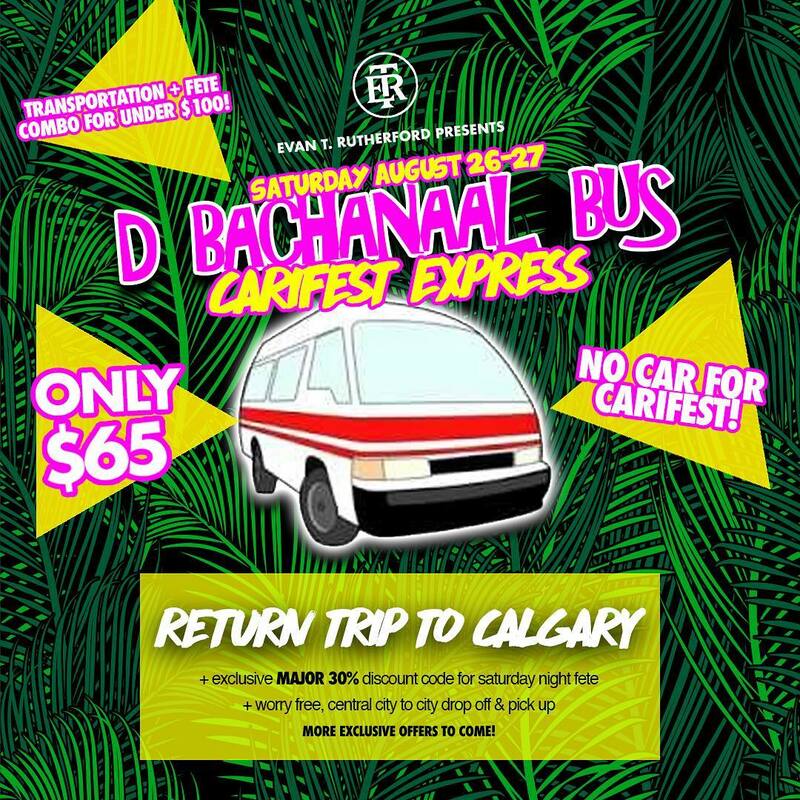 Edmonton feters can now board 'D Bacchanal Bus' to Carifest! ETR events is making it easy for Edmonton revellers to come to Carifest Calgary this year! A round trip on 'D Bacchanal Bus' which will get you to the heart of the action so no need for a Car if you are coming into town. The Friday night lime, Parade Start, Festival Grounds, and Monarchs concert are all within blocks of each other plus the downtown C-Train line is free of charge if you need to get between points quickly.